The West of England’s top accountants have been advised to have ‘micro-adventures’ such as skinny dipping in a river while on their way to a meeting or sleeping outside on a hill in summer. 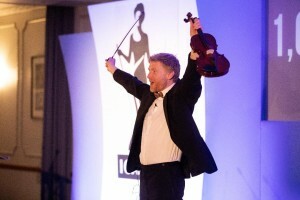 The unusual plea was made to the 400 guests at the profession’s regional annual dinner by guest speaker National Geographic adventurer Alastair Humphreys, pictured, who is known for his sideways view of life. He told the audience he never wanted to be an adventurer and started almost by accident but ended up cycling around the world, covering 46,000 miles through 60 countries across five continents – a feat that took him four years and six months. He later walked 120 miles around the M25 and also busked across France with only a violin he could barely play. While acknowledging that few at the ICAEW (Institute of Chartered Accountants of England and Wales) West of England branch dinner were likely to do anything as remotely adventurous, Alastair urged them to have ‘micro-adventures’ to live life more fully. “You may work nine-to-five but that leaves you with five-to-nine to do something out of the ordinary,” he told the gathering at Bristol’s Mercure Grand Hotel. These small actions could have a big impact by improving individuals’ outlook on life, he said, and as a result they would be happier, more fulfilled and be more productive at work. 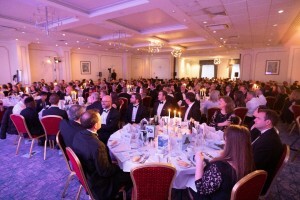 The dinner, again sponsored by regional law firm Thrings and Brunel Professions, has become a key date in the West of England business calendar, bringing together its leading professional services firms and business leaders. It also raised £3,000 for Snow-Camp, a charity that uses a combination of snowsports, life skills sessions, qualifications and work experience to support young people from inner cities. Parasnowsport skier Chris Lloyd was among the special guests at the dinner. ICAEW West of England president Neil Cutting said: “Our annual dinner was once again a wonderful occasion for businesses to come together to strengthen current business ties and to build new ones. Thrings managing partner Simon Holdsworth said: “Thrings has worked in conjunction with the ICAEW in the West of England for the past 13 years, and we are very pleased to be continuing our support for an event which has become a mainstay of the regional business calendar. Brunel Professions director Jon Filer added that Brunel Professions was proud to have sponsored the ICAEW West of England dinner again. 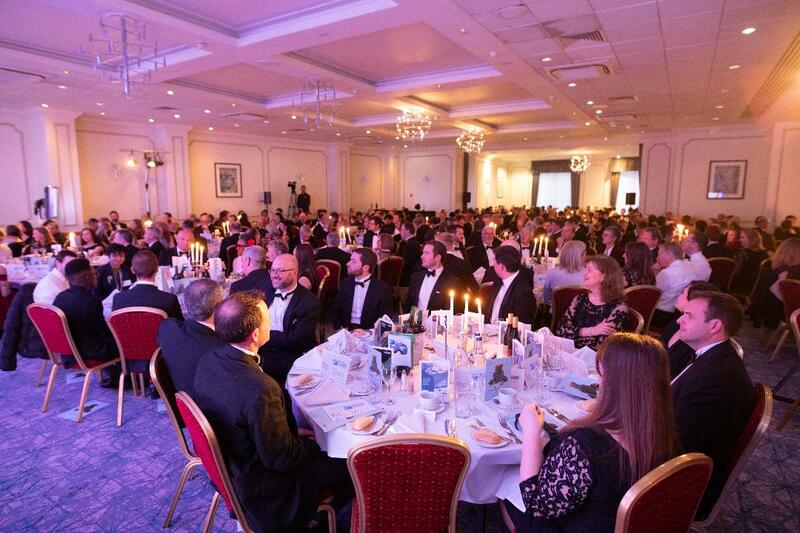 “Having worked with accountancy firms of all sizes across the UK, we found the dinner was an excellent platform for the South West business community to network with some familiar faces as well as making new contacts.